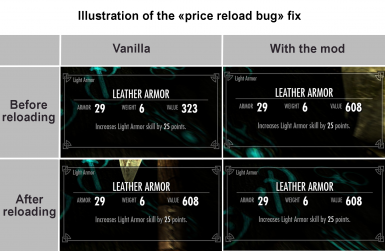 This mod aims to overhaul Skyrim's enchanting system by adjusting strength, scaling and prices of enchantments, as well as fixing the "reload price/charge bug". This mod affects both player enchanted items and leveled loot. New Requirements: SKSE64 and SkyUI. New: Muffle enchantments now scale and leveled item with different magnitude of Muffle enchantment are added to leveled lists. New: Waterbreathing enchantments now scale and leveled item with different magnitude of Waterbreathing enchantment are added to leveled lists. New: MCM option to adjust XP gained when enchanting/disenchanting. New: MCM option to adjust skill factor. New: MCM option to adjust soul gem recharge amount. New: Price and charge correction system for the enchanting UI. Read about it's limitation in the description. New: Magicka related enchantments are stronger on robes/clothes. Adjustable in the MCM. New: Non combat skill enchantments are stronger on clothes and jewelry. Adjustable in the MCM. Change: Complete balance pass on prices and magnitudes. Change: all enchanted weapons (loot and player enchanted) have 3x more uses before being depleted. Fix: USSEP conflict on silent moon enchants. Vanilla Fix: Paralyze enchantments now properly indicate their 25% chance to work per strike. Vanilla Fix: Boots/Shoes can't be enchanted with Stamina Regen anymore (consistency with other enchantments). Vanilla Fix: Corrected some perk descriptions to be more accurate. Removed: prices changes on robes since WACCF is now released on SSE and conflict with those. New Patch: WACCF patch (with .esp flagged as .esl option). Patch Update: Summermyst price bug fix updated to latest version of Summermyst, patch is now independent from the price bug fix .esp file. Removed Patch: See Enchantments patch removed for the time being. Removed Patch: Visual Animated Enchants patch removed for the time being. Doubled the charge for player enchanted weapons (twice the number of uses before refilling is necessary) to compensate the fact that the price adjustments lower the number of charges. 17.03.18 Added patch for See Enchantments and Visual Animated Enchants. Enchanting in Skyrim is a mess. The strengths and prices of enchantments are completely inconsistent and unbalanced and the enchanting system is full of bugs. This mod aims to overhaul Skyrim's enchanting system by adjusting the strength, scaling and prices of enchantments, as well as fixing the "reload price/charge bug". This mod affects both player enchanted items and leveled loot. Enchantments strengths are adjusted (player crafted and leveled items). Skyrim enchantments are inconsistent and unbalanced. Some enchantments were stronger than other similar enchantments for no reason. Strengths of enchantments made by the player do not match items found in loot. Some enchantments are overpowered while some are useless. - The enchantments strengths of player enchanted items are adjusted to be more balanced and coherent. - The enchantments strengths of leveled items are adjusted to be consistent with player enchanted items. In vanilla, some enchantments are a lot more valuable than others. Some enchantments are worth up to six times more than other enchantments of the same level, for no good reason. 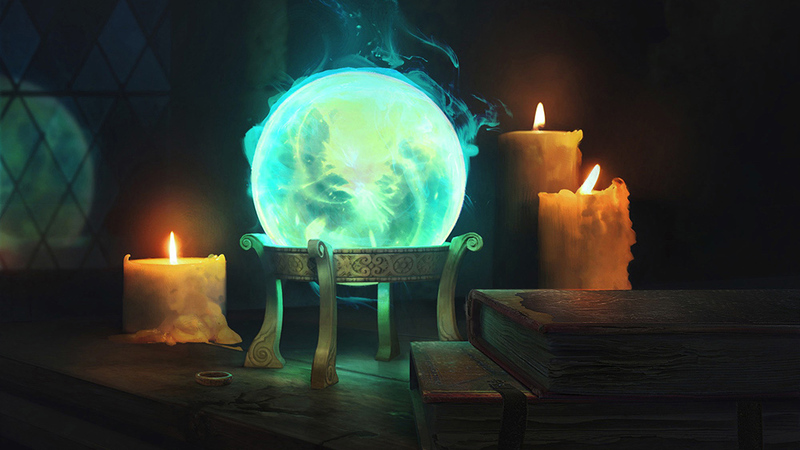 Overall, enchantments are overpriced and are often used as a easy way to make money. 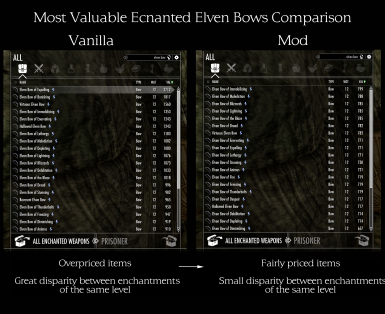 - This mod tends to lower the prices of enchanted items and correcting the value of previously overpriced enchanted items. - The price of an enchanted item is determined primarily by the strength of its enchantment instead if its type. The reload price/charge bug is fixed. There is a well know bug concerning gold values and number of uses for player enchanted items in Skyrim. I call it the "Enchantment Reload Price/Charge Bug" and will be referencing it as the "Reload Bug" fort simplicity. In Vanilla, when a player enchants an item, both its price and charges are wrong. They do not match leveled items of the same enchantment strength and the gold value actually decreases with strength (which makes no sense). The wrong value correct themselves on game reload, which can cause some frustration since enchanted items seem to change gold value and lose charges for no good reason. A mod that fix this issue was popular on SLE and has been ported to SSE. This mod prevents the value to be corrected on reload. Which means that while the price and charges values stay the same, they also always stay wrong. My mod fixes the reload bug. Gold values and charges are immediately corrected and stay that way. The values match items found in loot and prices increase with enchantment strength as they should. The caveat with this fix is that prices and charges values indicated in the enchanting UI are not automatically corrected (magnitude values are always correct and all values displayed in the inventory UI are always correct). With version 2.0, I implemented a script that should correct the displayed values, so the enchanting UI should show correct prices and charges (give or take a few septims) in most cases. However, my script cannot take into account some perks (Elemental Enchanter Perks) and bonuses applied by my mod (see below). Let me reiterate that this only concerns values displayed by the enchanting UI, actual values and values showed in the Inventory UI are always correct thanks to the reload bug fix implemented by my mod. Bugged enchantments are replaced when disenchanting. There is an unfixable bug in Skyrim that makes enchantments with multiple effects not scale properly when an item is enchanted by the player. This affects the "Fortify magic school + Fortify Magicka Regen" and "Chaos Damage" enchantments. (For example, only one of the three effects on the "Chaos Damage" scales while the two other stay at base level (contrary to what the enchantments description shows). This bug makes enchanting items with those enchantments useless. To fix this, I replaced the enchantment learned when disenchanting items with those enchantments. Disenchanting "Fortify magic school + Fortify Magicka Regen" robes will make you learn the ""Fortify magic school" enchantment. "Fortify magic school + Fortify Magicka Regen" enchantments can still be archived by the player thanks to the "Extra Effect" perk. Disenchanting "Chaos Damage" weapons will make you learn the "Shock Damage" enchantment. This means that Chaos Damage weapons are exclusively looted items. This bug does not affect leveled items. Looted and player enchanted weapons have more charges. Looted weapon in vanilla have a pretty ridiculously low number of uses before being depleted. As you can see here, most of them have under 50 uses and all of them under 100. With the reload bug fix, this also affects player enchanted weapons. Weapons all have around three times more uses before needing recharging. Weapons found in loot will have at least 150 charges. Player enchanted weapons uses depend on the soul gem used, but using a grand/black soul gem should give you at least 150 uses. Previously Non-scalable enchantments now scale properly. In vanilla, both Waterbreathing and Muffle enchantments do not scale. They always have the same effect no matter the player enchanting skill end perks. Both Muffle and Waterbreathing now scale properly. The Muffle enchantment now reduces your noise movement by X% (where is is the magnitude of the enchantment). Waterbreathing now adds X seconds of breath underwater before drowning (instead of being an infinite amount like in vanilla). Different Muffle and Waterbreathing enchanted armors are added to the leveled lists and will be found naturally in loot. Non-combat related skill enchantments work better on clothes and jewelry. Magicka related enchantments work a lot better on robes. "Fortify Magicka" / "Fortify Magicka Regen" / "Fortify magic school" enchantments work better (2.4 times better by default, customizable in the MCM) on magic robes. This is made to enable the player to create its own magic robes. It's logical and more balanced that Magicka related enchantments work better on robes than on armors. Some values related to enchanting are customizable in the MCM. - The skill factor can be customized, which allows you to dictate how much more powerful enchantments are at skill level 100 than at skill level 15. The vanilla default is 1.25, which is changed to 1.5 by my mod to intensify the difference between a novice and a master enchanter. My mod is balanced around that value, so I would recommend you do not change it too much if you want a balanced experience. - You can customize the amount of experience received when enchanting/disenchanting. - You can customize how much soul gems recharge your weapons. Some other minor bugs not fixed by USSEP are fixed by this mod. - Boots/Shoes can't be enchanted with "Stamina Regen" anymore (consistency with other enchantments). - Some perk descriptions (Elemental, Corpus and Insightful Enchanter) are corrected to be more accurate. I do not recommend installing this mod mid-playthrough. Doing so may or may not result in weird magnitude/charge values. Uninstall by removing the mod files. 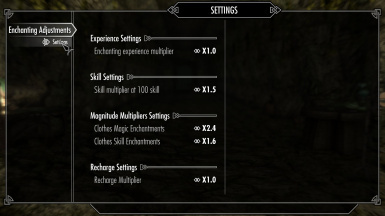 This mod is not compatible with any mod that changes enchantments effects. It is compatible with mods that change the enchanting perk tree, but I can not guarantee that changing perks won't cause balance issues. If you have such mods, load them after mine. A version of the mod containing only the reload bug fix is included in the installer. If you play with Enchanting Freedom load it after my mod. About Summermyst: while my mod and Summermyst are technically compatible, I do not recommend playing with both because my mod does not rebalance Summermyst's enchantments. Playing with both would cause some serious inconsistencies. However, if you play with the "Price/Charge Bug Fix Only" version of my mod, a file that applies the reload bug fix to Summermyst's enchantments is included in the installer. This mod does not touch unique items and their enchantments. 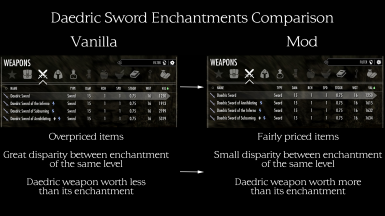 This mod corrects enchantments found on generic weapons and armors. To know more about formulas used by Skyrim enchanting system, you can take a look at my findings here. ZeniMax Media Inc. / Nuare Studio Inc. for the illustration.